It’s been a few months since I tackled an organization project and while I haven’t made time to take on anything extensive or monumental, that’s ok – there are plenty of projects that can be completed before finishing your morning coffee. Have any cabinets or drawers that could use some attention? I’ll bet you do 😉 And that’s the perfect place to start when you don’t have much time to devote (you can see a full list of organization projects, based on the time you have HERE). The contents of our living room built-ins have been screaming at me beyond the closed doors. When we moved in, it was an easy place to unload boxes and haphazardly toss in yearbooks, scrapbooks, electronics, and games, close the doors, and call it “done”. And then, I never went back to actually see what we had and get it in order. Last week, I took some time (literally, half an hour) and as a result, now have an organized game cabinet. 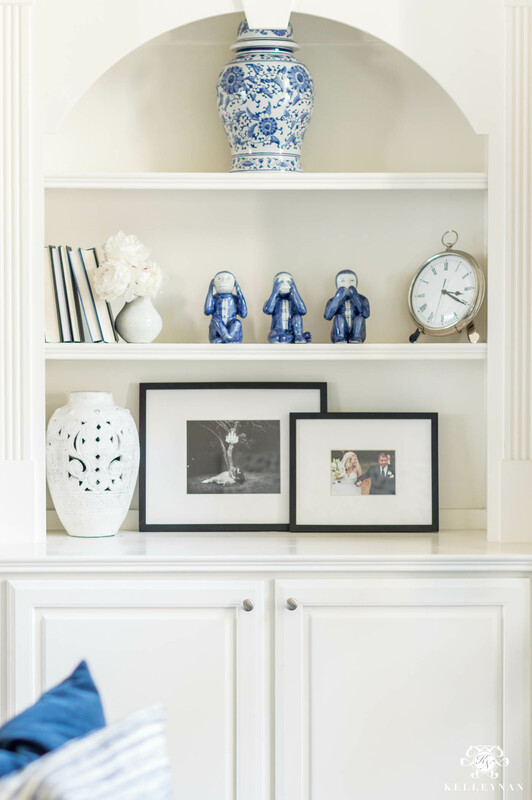 Today, I’m sharing the simple details and a few storage solutions for this 30-minute makeover. And this is where I ended up 30 minutes later. I’m totally going to break it down in three simple steps. Y’all, my “game cabinet” is actually a game cabinet now. Like we do with most projects, take everything out of your cabinet. Don’t try to organize and sort as you go. Take it ALL out. Start sorting your contents for “Keep”, “Trash”, “Donate”, and “Relocate”. If I hadn’t gotten to those magazines in four years, I knew no craft project or coffee table could save them. They were all trashed. All electronic parts and books were set aside to be distributed to a rightful home and puzzles that I had already completed (along with games we would never play) were put into a donation pile. 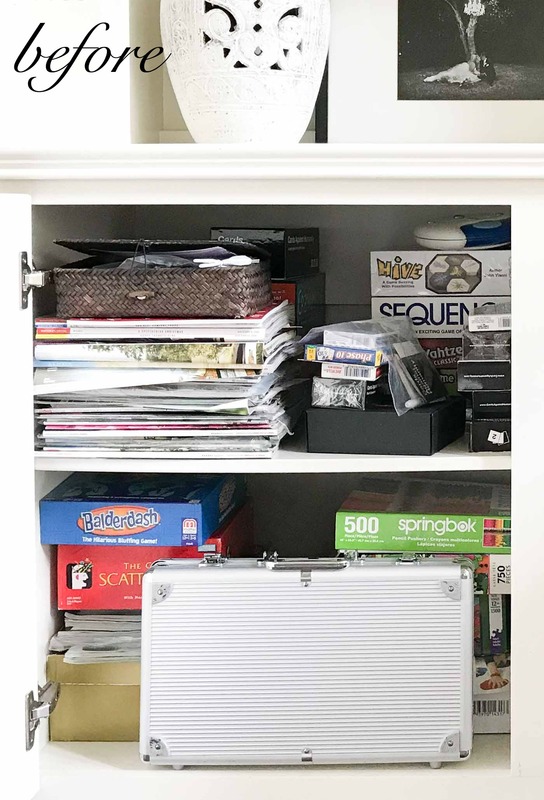 I am all for getting rid of things you don’t need and won’t use but I did keep a few things around for guests that may visit with their kids, like Connect 4. I just don’t want to take on the responsibility of monitoring something more animated like Twister (donation pile) haha. We like games but we are two adults with a modest collection. If you have a lot more than we do, you may want to first break down into child/adult categories and then break down by size. 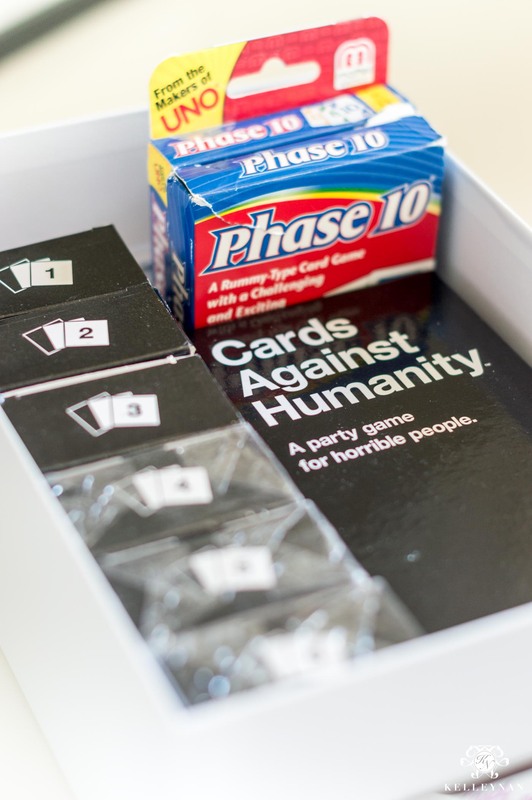 If you have small or odd-shaped (not typical board games) games, set those aside – we have another plan for those 😉 Set all your card games to the side, decks of cards, game pieces, etc. FYI: I’ve mentioned this several times but my all time favorite game is Balderdash – if you don’t know its amazingness, it’s under $10. 😉 Spades is my favorite card game, played with a standard deck of cards. 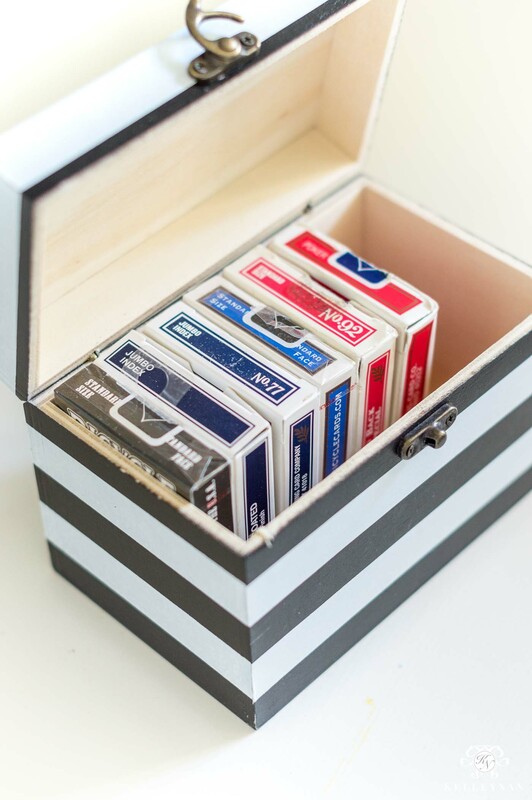 See the full organization project gallery with lots of home organization ideas HERE. Looks great! 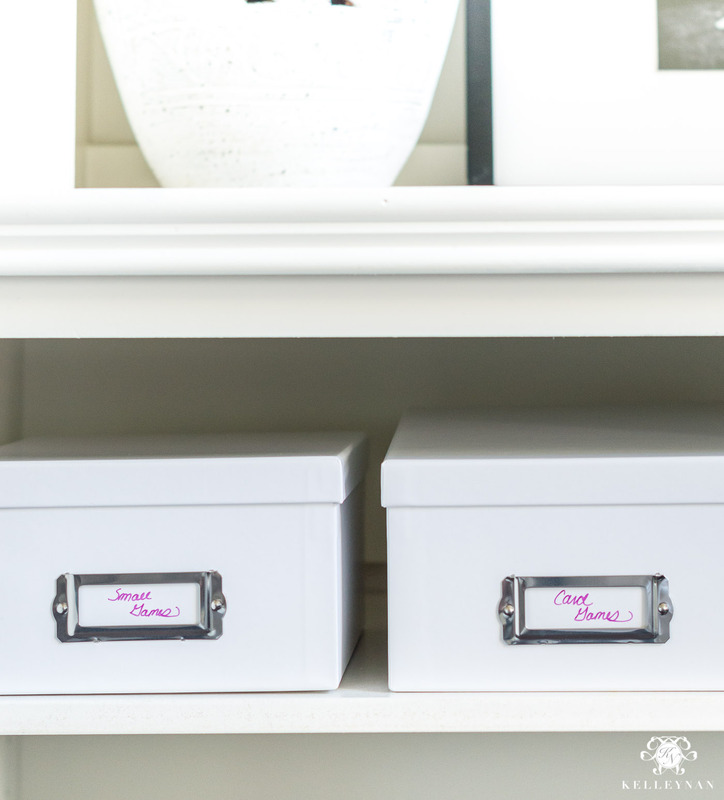 I love how these little organizational projects can make such a big difference. I’m itching to start some, but will have to be next week after graduation weekend. You are so right- have a great graduation weekend and best of luck getting started! Looks amazing. Isn’t it amazing what we can do when we out our minds to it. The only thing I noticed is that you are missing the game Taboo!!! Seriously…you look like a games gal!! You need to get it! Soooo fun! Looks great! Love your work and following you on instagram! Question: Since you’re going cable free, whom do you use for internet? Curious about the whole cable free thing. Thank you! We have AT&T gigafiber. I think it’s starting to roll out in more places, too! Good to know! Thank you. We are kind of out in a more rural area so our options aren’t as plentiful. Hopefully more will come our way! Have a great weekend! 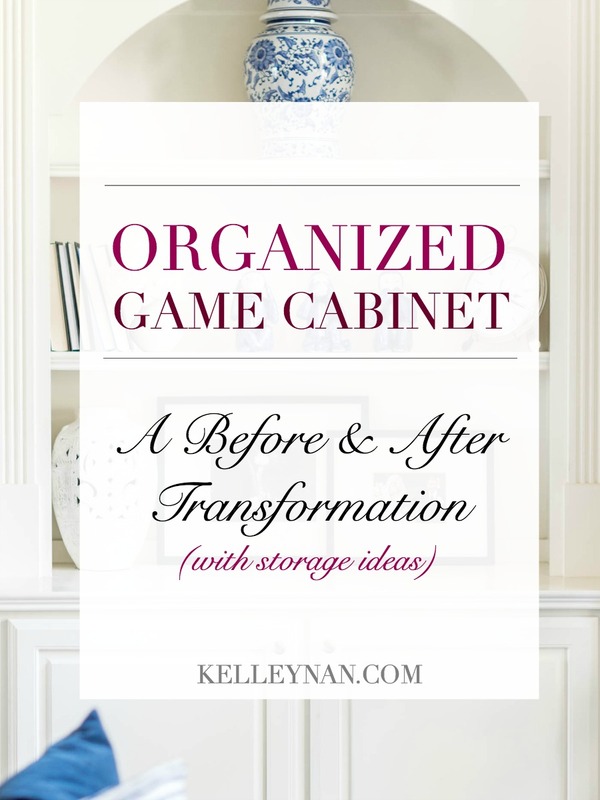 Another great organizational project – awesome Kelley Nan! You’ve given me some great ideas for my closet that also includes puzzles. Hugs! Joni, thank you!! Phone date this week?? 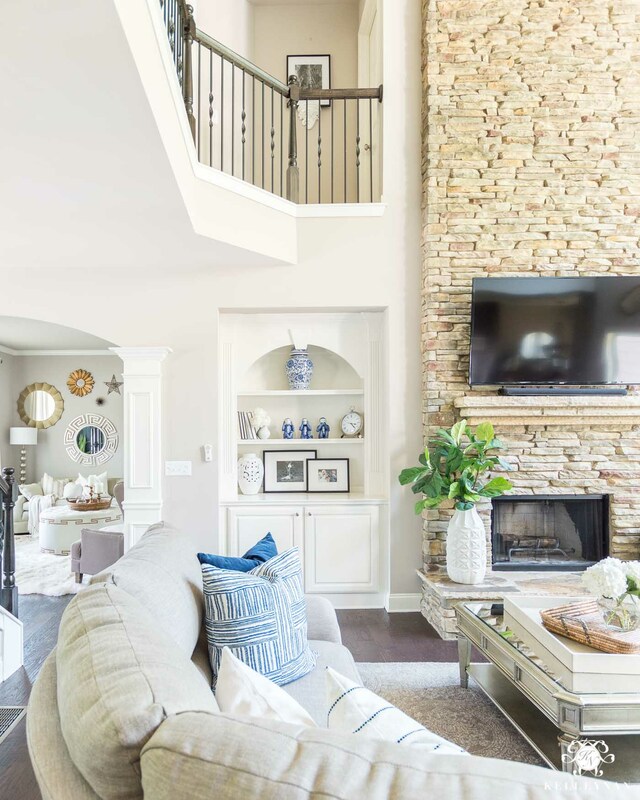 Kelley – these were some GREAT tips! Thank you. I’m always one of those people who does it as I go, so I think I need to pivot that strategy. LOL I went cable-free 3 years ago, and have loved it! I JUST switched to Hulu Live last week! You will love it. It’s perfect for people who don’t watch a ton of TV, but like the occasional news, sports, or other live show. I loveeeee Hulu. I even got rid of Netflix. I might’ve missed it, but did you connect us to those new cute little monkeys?! I love those! Looks awesome! I just did one shelf of ours with the white Nordic baskets from the Container Store. Need to get more baskets and lids to do the games next. Wish I would have taken a before and after of ours…it was pretty pitiful! Tina, that’s awesome! 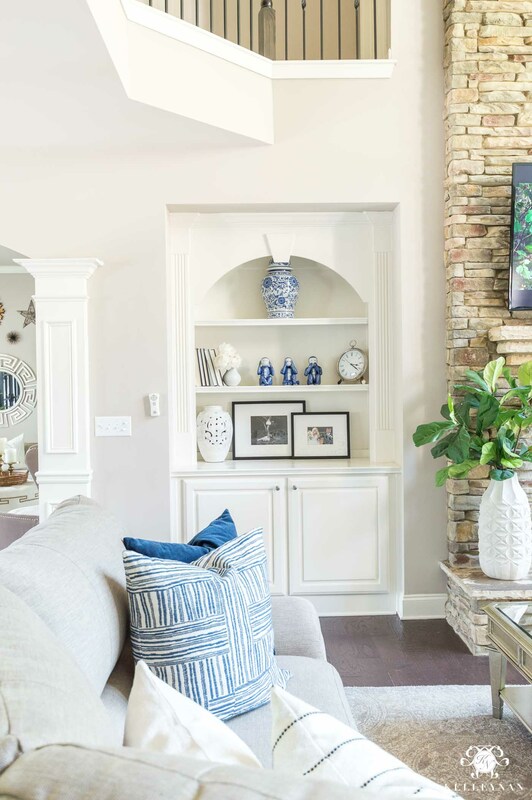 And yes- it will make you feel so good to look at that before pic while you’re looking at the updated space! Love! I so wish we had built-ins! Ok, I love that you said “nan time” and I am totally getting it! Thank you! I love going to Barnes&Noble to check out their card game sections, they always have fun stuff! 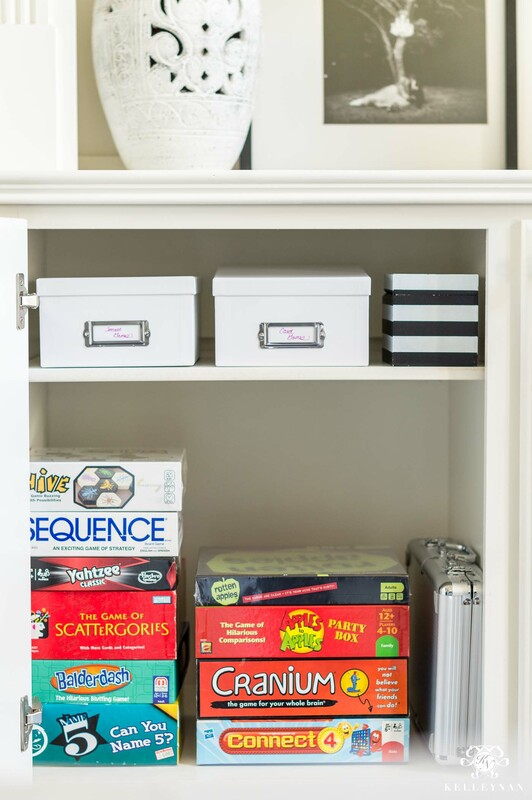 I recently downsized our game stock but I think I’ll take a second look at our Twister, you are so right about not wanting to supervise it–especially during a party.